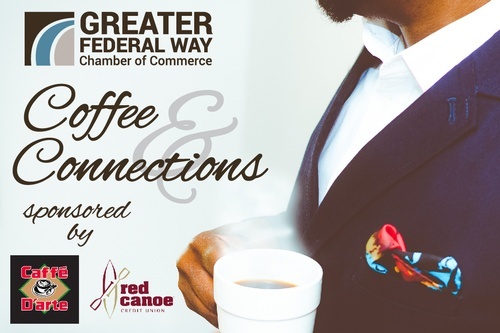 Start your day with Chamber networking and connect to area business leaders committed to enhancing economic growth in the South Puget Sound. Coffee & Connections is hosted in the training room of international coffee roaster Caffe D'arte, which is headquartered in Federal Way. 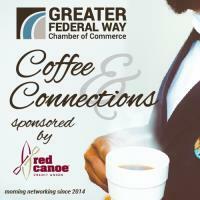 Join us and build business relationship and lead generation through the Chamber network with this member-only event, sposnored by Red Canoe Credit Union.